For Jaslyn Hooi, the Singapore Open has been an eye-opener. 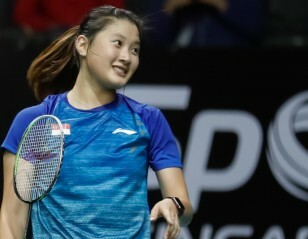 It was her biggest tournament in her nascent career, and it was on home soil, and that explained why Jaslyn Hooi looked excited despite her women’s singles first round loss at the Singapore Open 2019 yesterday. 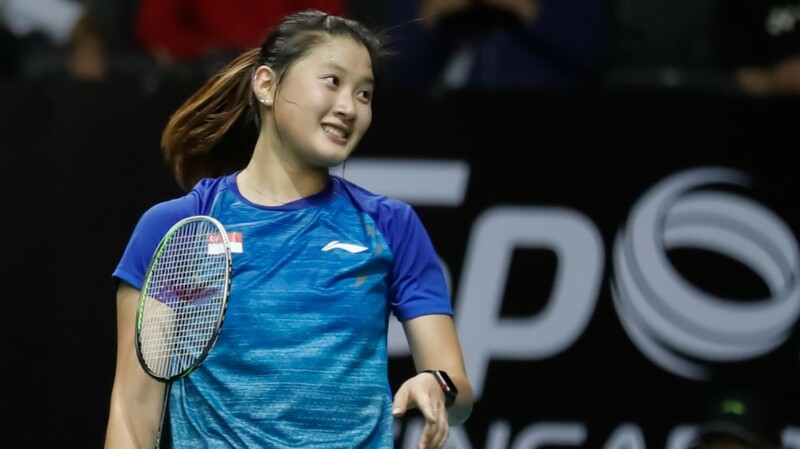 The 18-year-old, having qualified to the main draw, fell 21-13 21-8 to China’s Chen Xiaoxin and came away not crestfallen but with a sparkle in her eyes. Jaslyn Hooi won her qualifying match against Brittney Tam. “It’s my first experience of a (World Tour) Super 500,” said Hooi, who has competed mainly in the International Series and International Challenge events. What was it like to play such a big tournament on home turf? Beiwen Zhang was formerly a Singapore international. 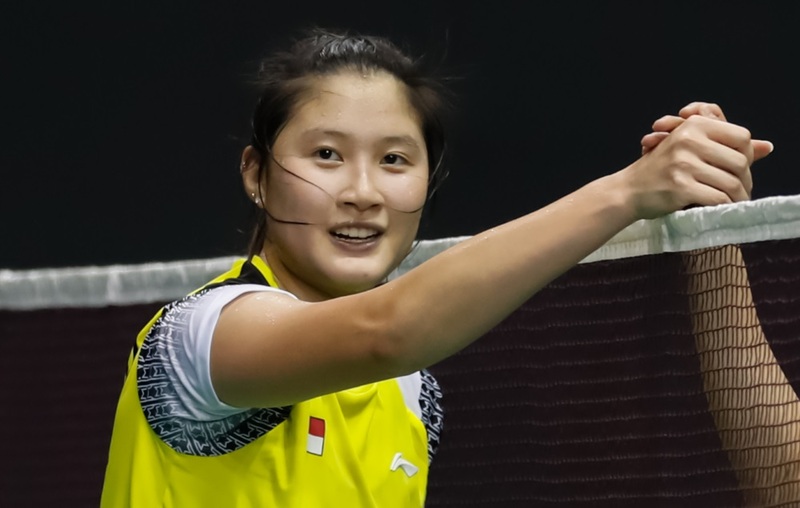 Hooi’s previous experience of big tournaments was at the junior level, at the Youth Olympic Games (she was a semifinalist) and the World Junior Championships last year. The Singapore Open, she said, had opened her eyes to a new realm. “At the YOG I was playing with players my age. I was seeing them frequently, so I knew their game, their favourite shots, strengths and weaknesses. But at this competition I don’t know anyone, so every time I step on court, my experience is zero, so I need to start from the lowest point and move up. 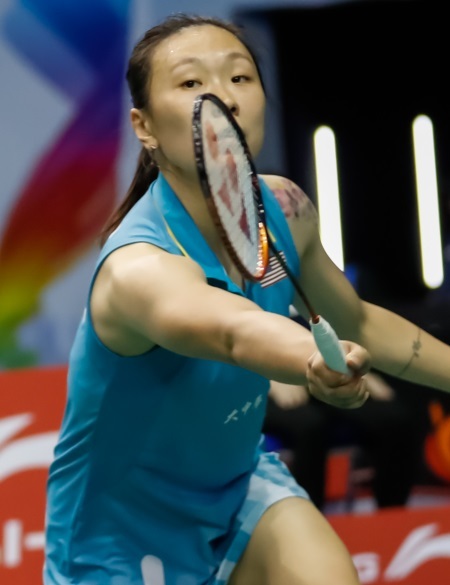 Some time after Hooi had exited, Beiwen Zhang – formerly a Singaporean international and now representing the US – also followed her out of the tournament. Beiwen, in contrast to Hooi, is far more experienced. Zhang last played for Singapore eight years ago, at the Singapore Open 2011. She then moved to the US under troubled circumstances, reinventing herself as an independent professional. 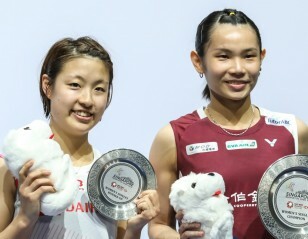 Her connection to the Singapore Open is different from Hooi’s. She was once a ‘home’ player; now it’s a more complex relationship with the city that once used to be home. “I think for me… because I’m not representing Singapore, I feel different,” Zhang said.